Hello everyone, as we return slowly to Montréal, with a little stop-off on the way for an excellent conference in San Diego (Cool Topics in Neonatology, organised by my good friend Yvonne Vaucher), I am starting to see time and opportunities and topics for blogging. While I was away the number of page views of this blog clicked over the 250,000 mark since inception. I have also met many individuals who claimed to read the blog and told me they found it useful. The feedback is much appreciated and helps me to be motivated to keep going. Over the next few days I will be posting about some recent publications I have been involved with, about what is happening with probiotics, about suctioning for meconium, and other selected issues. I will also post a steady stream of ‘not neonatology’ posts about my travels, with associated Photos. In addition I have added a Photos page which you can reach from the top menu, with a few of my bird and wildlife photos, and occasionally others that I think are OK. When I post new photos on that page I will probably give a heads-up on the main page. Here, as a little taster is a photo of an Australian Parrot called a Galah. 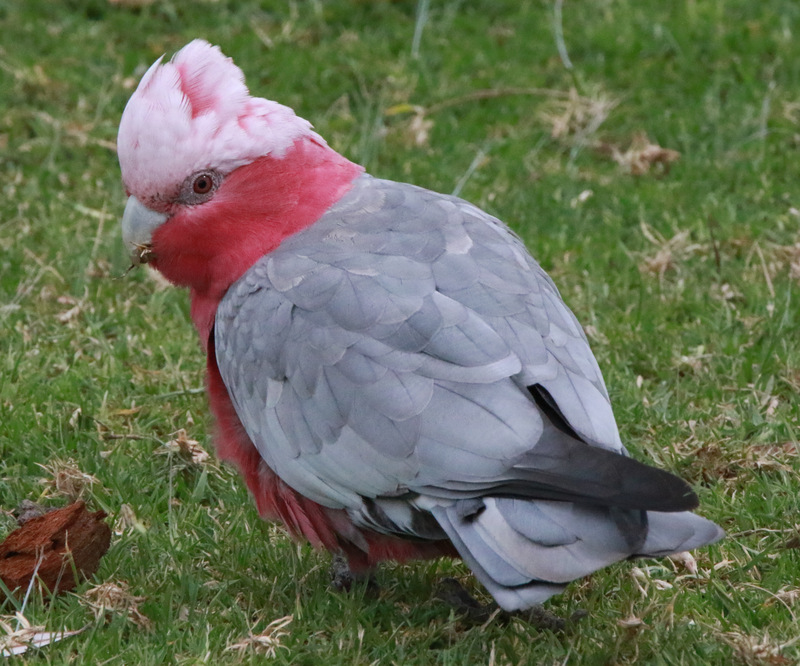 (To be more precise, as a budding ornithologist, I guess I should say that the Galah is a member of the Cockatoo family, the Cacatuidae. Species name is Eolophus roseicapilla). One of the things which struck me in Australia was the variety of the birds that could be seen easily with little effort, many which were strikingly attractive. I hope you will enjoy them as much as I have.